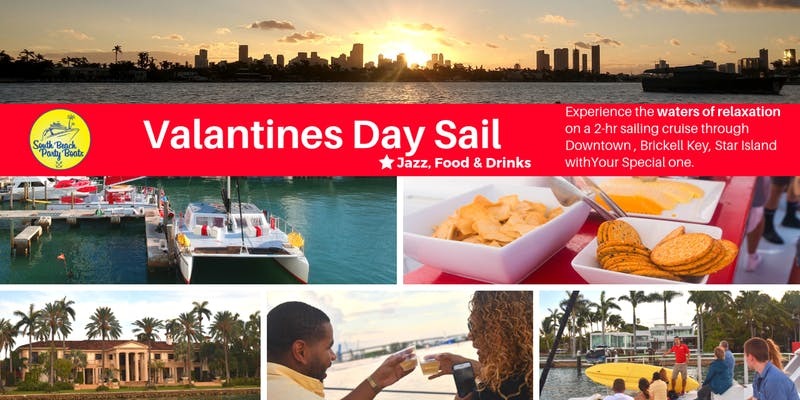 Enjoy a Valantines Day on a Sailing Vessel with your special someone. Included is champaing beer wine and finger foods like popcorn checken meat and cheese and veggie platters. We will sail into biscayne bay for a 2 hour excursion. Popcorn Chicken, MEat and Cheese Chunks, Veggie Platter, Chips and Dips.